Luxury yacht BENITA BLUE (ex SALACIA") is a 33.70m (110' 6") motor yacht built by Evolution Yachts in Western Australia. 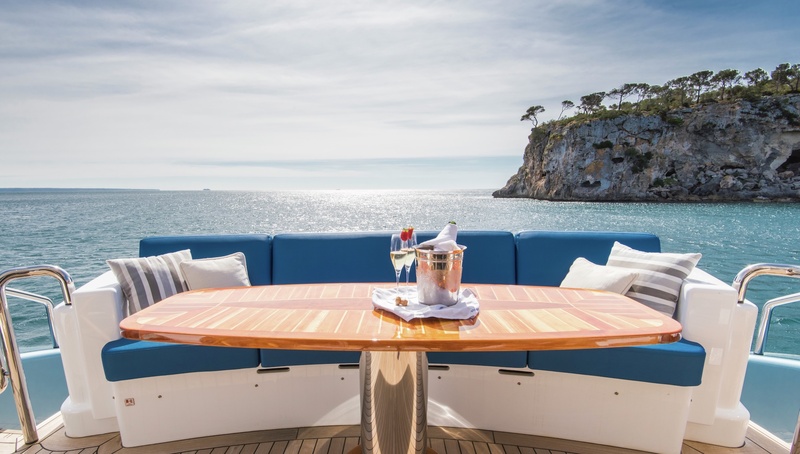 Motor yacht BENITA BLUE is a revolutionary 2½ deck motor yacht featuring an eye-catching metallic blue hull. Her hull form along with her deck blend beautifully in a series of curves giving the yacht a sleek and sporty exterior. Her stylish interior design is by Sam Sorgiovanni. The vessel was built in 2005 and refitted in 2007. Formal dining is available in the main saloon and additional al fresco dining can be enjoyed on the large table located on the sun deck. The deck features plenty of sunbathing areas forward and a spa pool on the sun deck. 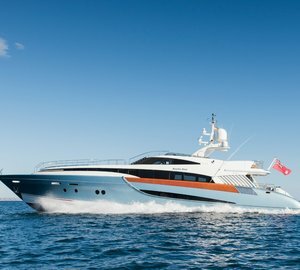 At 110,6 feet (33.70m) and with twin MTU 1,800 hp diesel engines, motor yacht BENITA BLUE is capable of a top speed of 25 knots and a cruising speed of 22 knots. 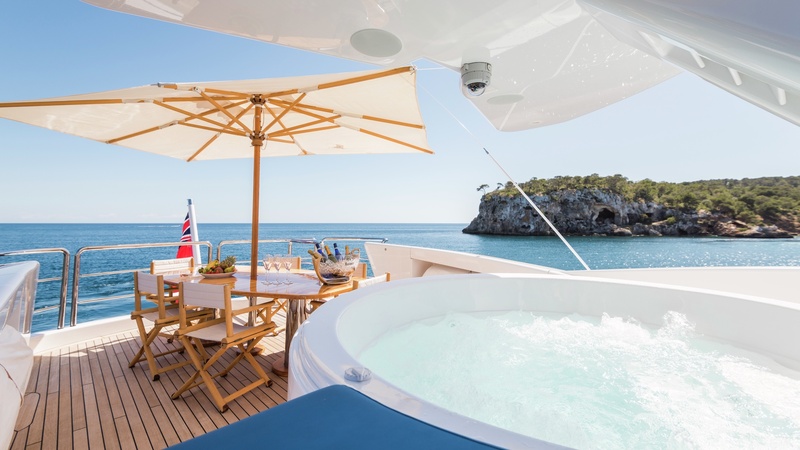 Luxury motor yacht BENITA BLUE is able to accommodate 8-10 charter guests in spacious and tastefully appointed cabins. The lower deck features a full-width owner’s stateroom which has his and her ensuites and this can be converted into two double cabins. Forward are a further two twin bedded staterooms, each with ensuite. 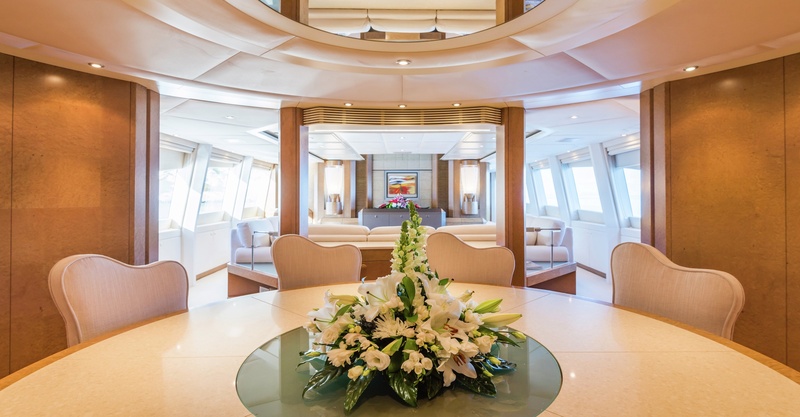 The study on the main deck can be converted into an additional double cabin with access to a day head. Full entertainment systems are installed throughout.